Growing up we didn't have cable. We didn't have Nickelodeon or MTV, HBO or the like. We did have those few basic channels though, which were just enough for my parents to always catch Seinfeld, fuel our TGIF Friday nights, entertain us with Saturday morning cartoons when Saturday morning cartoons were still awesome, and then of course supply us with PBS for all of our favorite shows. My earliest television memories are a mix of Sesame Street, Reading Rainbow, Mister Roger's Neighborhood, and 3-2-1 Contact. LeVar Burton and all of those amazing books were my world. I lived for the different stories I'd hear every time Reading Rainbow came on, my "to-read" list a mile long. I learned my ABCs from my parents and pre-school, but Sesame Street helped to reenforce all of those lessons every single morning. Mister Rogers and his always changing shoes and cardigan, Big Bird and his songs, the science projects on 3-2-1 Contact...these were all a huge part of my childhood. It was a time when I'd measure time by my favorite shows. My "how long until we leave, Mom?" answered back with a variation of "one Sesame Street and one Mister Rogers honey." It was when I'd try and recite "a loaf of bread, a container of milk, and a stick of butter" to myself to see if I could remember it too. It was Telly Monster and Grover, Oscar the Grouch and Kermit. It was the age of Lady Elaine and Daniel Tiger, of hearing that 3-2-1 Contact theme music and knowing I was about to learn something neat. It was seeing books come alive on Reading Rainbow and singing along while imagining that cartoon butterfly turning a scene out of my book into reality too. It's all of that and so, so much more. So when I heard Mitt Romney say he wanted to cut funding for PBS, it upset me. While watching the debate I even stopped to rewind it, having a bit of a "say whaaat?!" moment. Let it be known that I am firmly in the Obama camp, but even so, after hearing this I knew I had to do some research before I totally and fully started disliking Romney more than I did. So I followed up, I watched him on The Situation Room, I realized that he meant exactly what he said. To be fair, I can understand where he's coming from, and I get the want (need) to cut the spending and borrowing. But it's beyond that. Cutting PBS funding goes way past just taking away Big Bird. We all know Big Bird will be fine on his own. It's about taking opportunities away from areas that NEED that programming more than most of us can even comprehend. It's about taking that programming from rural areas where children may not get the same educational opportunities that kids in larger areas get. It's about taking that programming from kids who may not get to go to preschool, where the only "schooling" they might get as a toddler is in fact Sesame Street, or one of the other educational programs PBS offers. Yes, PBS will probably be fine if there was a cut in their funding. But things would absolutely change in how their service is provided, and I'd say it's safe to say that PBS would not be available to everyone if it was no longer a public access channel, as cutting funding directly affects those stations (some big, some small) that provide PBS to viewers. I can't imagine a world without PBS and all of the wonderful people and things that were such a large part of my own development and growth. I think of Henry and our mornings- sitting around in our pajamas, eating breakfast while we watch Sesame Street. I think about the other day in the bathtub when out of nowhere he began singing a song about boats he had heard Grover singing that morning. And I think about watching Gordon talk to Elmo about how it's okay for boys to play with dolls- and watching them discuss gender roles and how it's okay to like what you like, regardless if it's a "boy" or "girl" thing. PBS is important. Education is important. And PBS is education for so many children. And although this may be a smaller issue than equal pay for women, a woman's rights to her own body, or marriage equality, in a way it could be just as big when you think about the ripple effect. Every action yields a reaction and quite simply, this will affect our children...and affect our children and you affect our future. It's scary, really. I think about the bigger picture and it frightens me to imagine the loss of such a huge influence in so many kids' lives. I wholeheartedly hope PBS is always around and available to everyone, and I hope that every single child has the opportunity to visit the magical world of Sesame Street sometime in their lifetime too. How about you? 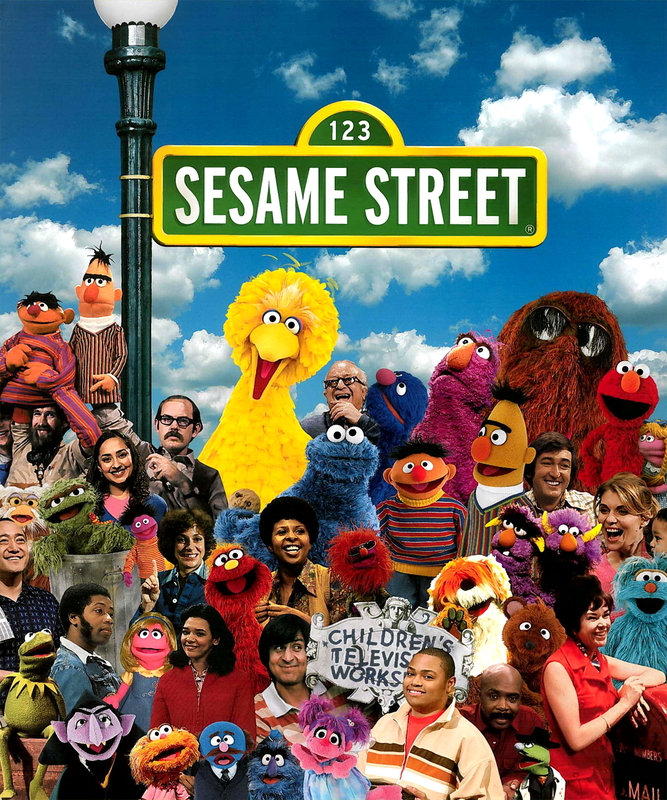 Did you grow up with Sesame Street and PBS? Did you have a reaction to Romney's statements? Or maybe you're on the opposite end of the spectrum- I'd love to hear from you too!